C-West uses the enormous amount of data extracted from the racing field to produce its aero parts. These aero parts distinguish themselves by bringing out the maximum potential of the vehicle while accentuating the existing body lines. Because these parts were designed using actual race data, they aren't just dress up parts, but actual functional components of the vehicle. The aerodynamics of a vehicle are often overlooked from a tuning stand point yet it is one of the most important factors of vehicle performance and handling. Carbon Fiber is the ideal material to fabricate aero panels from because of its extreme lightweight and strength, that's why it is found on so many race vehicles. A front lip is a great addition to any vehicle because it increases both the form and function of your car. 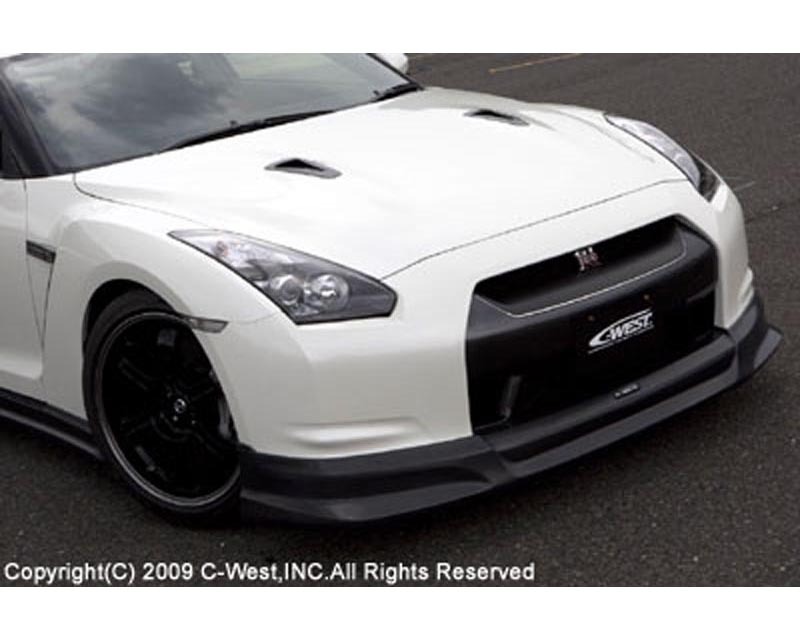 Not only does it add a unique race inspired styling que, it increases downforce on the front wheels increasing handling and traction as well as overall stability, which is very important on a vehicle with the capabilities of the Nissan GT-R.